Most people I know either went to visit their mom, out to eat, picked out flowers for their yard or some variation of these things. On the other hand, my Mother’s Day was perfect! I saw my mama yesterday and spent time hanging out with my parents while J took care of the obligatory lawn work and the kids played (a.k.a. fought over the same toy) for a couple hours. My sweet J woke me at 8:30!! Did you hear me? 8:30!! That is the equivalent of when I was in my early 20s and I woke up at noon! This day is already starting strong! J made me a beautiful breakfast with a huge egg scramble with veggies and feta which in my favorite, sliced strawberries, a bagel with veggie cream cheese and BACON! Life is good! After breakfast, we went outside to have a bonfire and play with the kids. We also pulled apart a few pallets for projects that I will be posting soon! My L asked if we could have lunch on his sun-bleached multi-colored Fisher Price picnic table. PB&J sammies and Cheetos for the win! I put D to nap and that’s when the real fun happened! I had an idea a while ago to put in a sidewalk in front of my front porch with pavers so I could use my long skinny porch to sit on instead of walk on! (Pics to come soon!) That consisted of digging up all the grass to make way for the pavers. J and I were so focused on digging that neither of us realized that our yellow lab, Homer had decided to go on an adventure in the 1/2 mile long field next to our home. J ran into the house for a second and immediately asked, “Where’s Homer? I can’t find him! !” I jumped into panic mode, grabbed L and went around the block calling his name. When we got home and Homer was still nowhere to be found, I started to panic! He has never done this! J took L in the car and went to look for him. I asked our awesome neighbors if they saw him but that was a bust. I decided to check out the field next to our house. Maybe he was in the thick brush or treeline along the border. The longer I walked, the more panicked I felt. We live near a busy freeway and I was so scared that Homer went up there. Trying not to cry, I was screaming his name as I was running. The field was so wet and squishy and I forgot I was wearing my brand new shoes. After getting all the way to the end of the field, I SPOT HIM!! I scream his name and hold my hand like I have a treat so he comes fast! I was overzealous and try to grab his collar but he jumped away. I think he thought he was in trouble so I changed tactics. “C’mon Homer!! Run home with me! C’mon!” It worked! I was so relieved. He was running so fast, I couldn’t keep up. Luckily, my beautiful friend and neighbor who is, like, 45 weeks pregnant caught him and she guided him back to our yard. I couldn’t breathe since I caught another cold from the kids and that was the point when I realized that not only my shoes but my calves were completely covered with mud from charging through the swamp of a field! I called J to come home and I have never hugged Homer so tight before. After that, the day was a breeze! 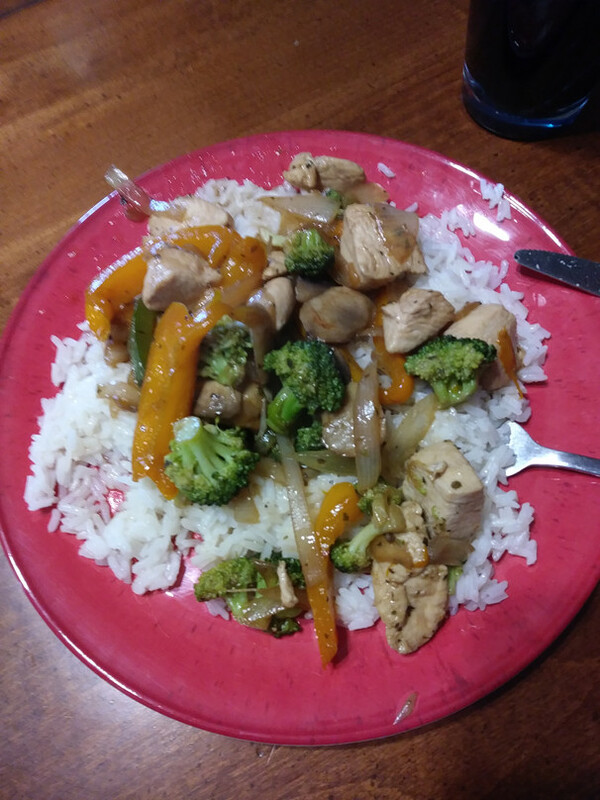 We went in the house and I got to shower while J took care of making me an awesome stir fry dinner. Yea, that’s right, I didn’t cook at all today!! We have finished off this crazy, very not-typical Mother’s Day with some Henry’s Orange Soda which is delicious, btw! Everything about this day was very “ME.” Spending a day outside with my beautiful family, having a bonfire, pretty much anything having to do with my family makes life better. I hope you had a magical, wonderful, everything-you-hoped-for Mother’s Day! Being a mom is tough. Having a day for people to recognize what you do on a regular basis goes a long way. More than flowers or chocolates or gifts, just having someone look at me and say, “Hey! you know all those monotonous, tedious, little things that you do every day, on top of the laundry, dishes, schedules, dinners and everything else? I recognize that you are ROCKING that and I appreciate you! That is what this day is about and luckily, I have that not just today but every. day. Next Sometimes, You Just Have to Shoot Stuff!